When will be Supertrain next episode air date? Is Supertrain renewed or cancelled? Where to countdown Supertrain air dates? Is Supertrain worth watching? The Supertrain was a nuclear-powered bullet train that was equipped with amenities more appropriate to a cruise ship. It had luxuries such as swimming pools and shopping centers. It was so big it had to run on very broad gauge single track (not a pair of tracks as depicted in some advertising). Though it had a rated top speed of 190 miles per hour (306 km/h), the train took 36 hours to go from New York City to Los Angeles, which would put the train's average speed at around 78 miles per hour (126 km/h), slower than the moderately paced Amtrak Acela Express and well below the speeds of bullet trains in Europe and Asia. (Some episodes state, however, that the train also stops in Chicago,Denver, a fictitious town in Texas and presumably other cities, which would extend the length of the run and thus would require faster speeds.) Much like its contemporary The Love Boat (1977), the plots concerned the passengers' social lives, usually with multiple intertwining story lines. Most of the cast of a given episode were guest stars. The production was elaborate, with huge sets and a high-tech model train for outside shots. A bashful doctor finds himself rooming with an heiress who is hiding from kidnappers. Supertrain's new crew members track a jewel thief. One of the participants in Supertrain's International Poker Championship buys in with counterfeit money. A policeman escorting a murder suspect chokes on a chicken bone, giving his prisoner a chance to flee. 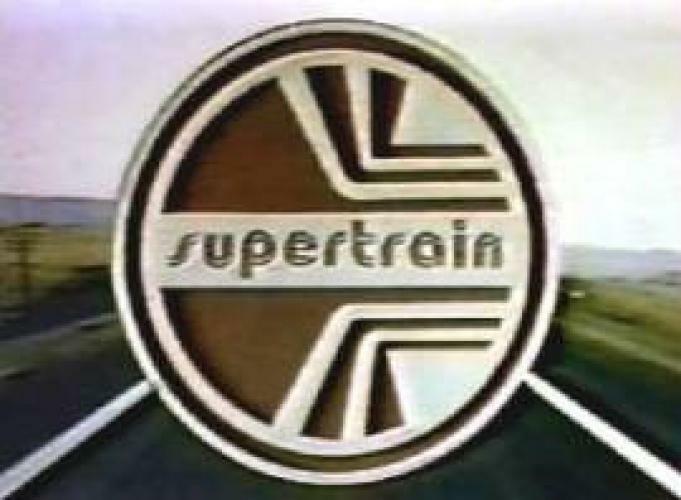 Supertrain next episode air date provides TVMaze for you. EpisoDate.com is your TV show guide to Countdown Supertrain Episode Air Dates and to stay in touch with Supertrain next episode Air Date and your others favorite TV Shows. Add the shows you like to a "Watchlist" and let the site take it from there.